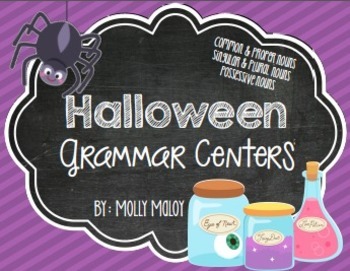 This pack includes 4 different Halloween grammar centers to review common and proper nouns, singular and plural nouns, and possessive nouns. 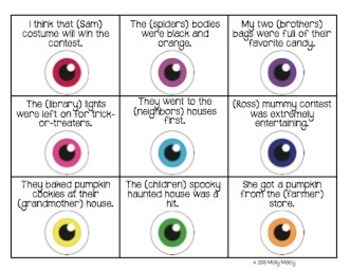 To prepare centers, simply print and laminate. 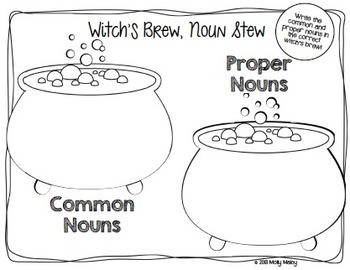 You can create a grammar pack for students (3 cover options included), or just print the answer sheets and have them available at each center. 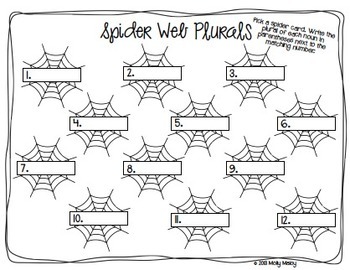 Answer keys are provided for students to check their answers! Download the preview to see what is included!